This volume aims to present a wide range of styles, from a simple Choral setting to swing and gospel-rock, call-and-response and shouting, a cappella and with piano accompaniment. Each title can be performed on its own but the whole also adds up to a very effective and exciting suite. The Drei Sonette (Three Sonnets) were among the last works of Germany's leading post-war composer, Hans Werner Henze (1926-2012), settings of words by theologian and poet Christian Lehnert (b. 1926). The set was an adaptation by the composer of choruses heard originally in his music theatre piece Gisela!, first performed in Dresden in 2010. 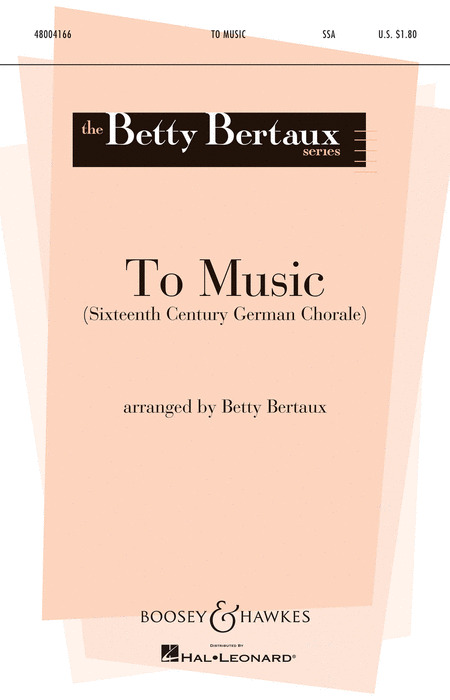 Berger's choral works constitute the bulk of his compositions, where he avoids an academic style, preferring a pragmatic blend of Franco-German folk music, South American melody and rhythm, and polyphonic modality. Here is a collection of three of his psalms for unaccompanied mixed choir in four parts. Throughout his life Brahms harmonized and arranged German folk songs for mixed choir. In these masterful versions the elegant simplicity of the originals always maintained, yet Brahms weaves well-shaped vocal lines and adds delicate harmonies to make polished songs of great charm. In this edition, John Lewers has fashioned highly effective and poetic English singing translations, which adhere to the rhyming scheme of the original. The result is a collection of instantly accessible yet little known repertoire, exploring a variety of scenes and moods, which will appeal to all mixed-voice choirs looking for imaginative concert repertoire. German and English text. These canons now published for the first time document Hindemith's fondness of composing little parodistic works with a wink on certain occasions. More than 30 artistic postcard-sized works were written by the composer. In strict counterpoint, he used them to convey season's greetings, congratulations on birthdays and anniversaries, and thanks to friends, colleagues and cultural institutions. Some of these witty and entertaining pieces have been released on recordings several times, but they have not been available in printed editions yet. Our first edition now enables every choir and every small singing group to find a canon of the appropriate level of difficulty and perform it on many occasions with great success with the audience. In print here for the first time. Choir a cappella. Hindemith composed these more than 30 artistic postcard-sized works to convey season's greetings, congratulations on birthdays and anniversaries, and thanks to friends, colleagues and cultural institutions. English text. A nature-themed collection for unaccompanied mixed voices. 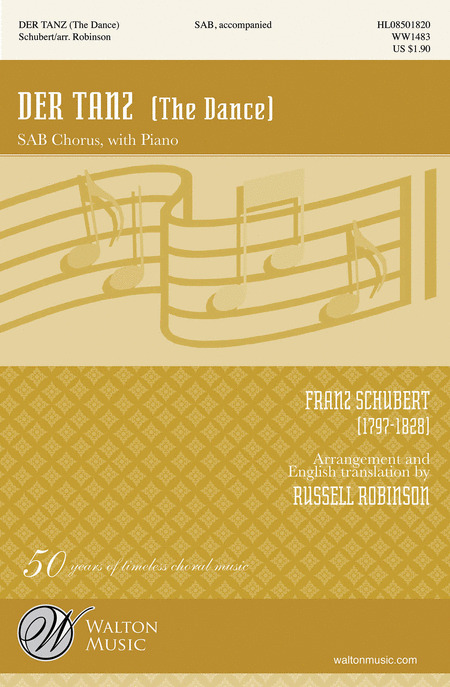 Kalmus presents a new edition of 21 songs by Robert Schumann, with German text, for TTBB (men's) choir. Many are short, and can be mastered for performance by a large or small ensemble. These songs will be wonderful additions to concert programs. As the nineteenth century progressed, there was an unprecedented flowering of the partsong in Germany, inspired by the development of the rich repertory of German Romantic poetry in the hands of Goethe, Ruckert, Heine and others. Here are forty of the best 19th-century examples of the genre, from the country where partsongs caught the imagination of most major composers and delighted their audiences. The collection starts with Schubert and ends with early Schoenberg, including pieces by Brahms, Mendelsohn, Bruckner, Schumann, Wolf and Cornelius along the way. Many of the exquisite pieces are about the archetypal Romantic themes: love, often lost or unrequited; nature and the seasons; life and death; religion and folklore; human ideals and aspirations. Some items are previously unpublished, whilst others have never been widely available. All the material appears with thoroughly idiomatic English singing translations as well as prose translations, and notes on the composers and their pieces. The majority of the items are in short-score format, for the convenience of the rehearsal accompanist. Displaying 1-50 of 52 items. This unique island-flavored setting is a joyful and energetic treatment of the traditional 19th century Austrian carol. This festive Austrian carol in ae time is perfect for your a cappella choir. Easy to medium four-part singing with a touch of contemporary harmony and a hearty male solo add a unique quality to this holiday gem. A setting of Psalm 130 in German is set here for SSATTBB choir and piano (optional orchestral parts available from Boosey & Hawkes).From the larger work, Symphony of Psalms, lyricism, rhythmic drive, and soaring vocal lines set this movement apart as a emotional supplication to the Lord. Duration: ca. 6:40. Give your young singers an opportunity to experience classical style with this charming Beethoven art song with an optional added harmony part. A simple and easily learned teaching piece, it is also an excellent choice for contest and festival. German and English lyrics. Available: Unison/2-Part. Performance Time: Approx. 1:30. 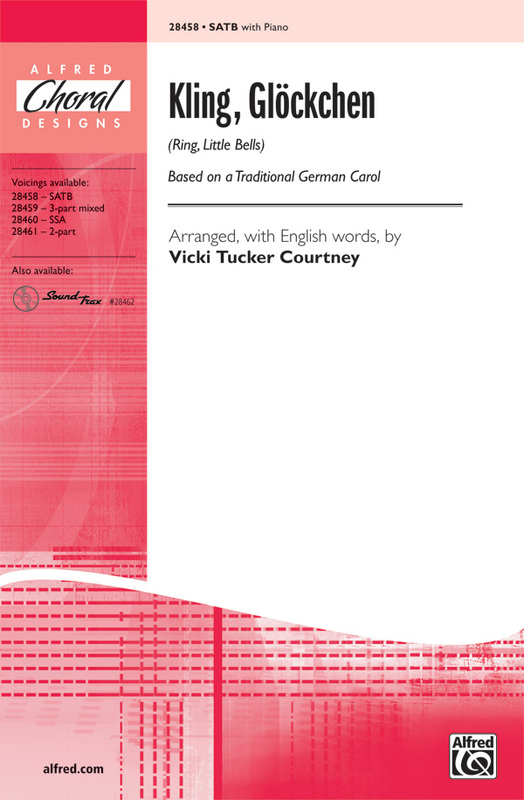 Younger choirs can develop important diction skills with this short, joyful work by Schubert, arranged for SAB voices with German and English lyrics. Repetition in the text and music makes rehearsal fun and productive. Duration: ca. 2:00. The Dance by Franz Schubert is an excellent example of poetry and music coming together to present a picture of German life. This new edition is just right for contest or concert use. The famous artsong by Franz Schubert has been arranged for 3-part voices and tells of a casual observer admiring the movements of a frisky fish as it darts below the surface. The tone of the music changes when, to the observer's horror, a fisherman puts an end to both his and the trout's merriment by snagging the fish on his hook and reeling him in. This elegant art song by Johannes Brahms is an excellent introduction to the romantic era for treble choirs of all ages. English and German lyrics. Available: 2-Part. Performance Time: Approx. 2:40. This beautiful Romantic partsong for male voices is offered in a new Choral Treasury edition featuring both the German text and an English translation by Dr. Leavitt. Available: TTBB a cappella. Performance Time: Approx. 1:45. An excellent introduction to the beautiful music by master composer Felix Mendelssohn, this melodious setting about the nightingale (Op.59, No. 4) is the perfect choice for a small high school choir or ensemble. A fine selection for your spring concert! In German/English. Duration: ca. 1:50. Heinrich Schütz was one of the great German masters of vocal music, serving as a bridge between the early contrapuntal school of Palestrina and the later contrapuntal school of Bach and Handel. This motet illustrates both homophonic and contrapuntal techniques and concludes Schütz's setting of The St. Matthew Passion. 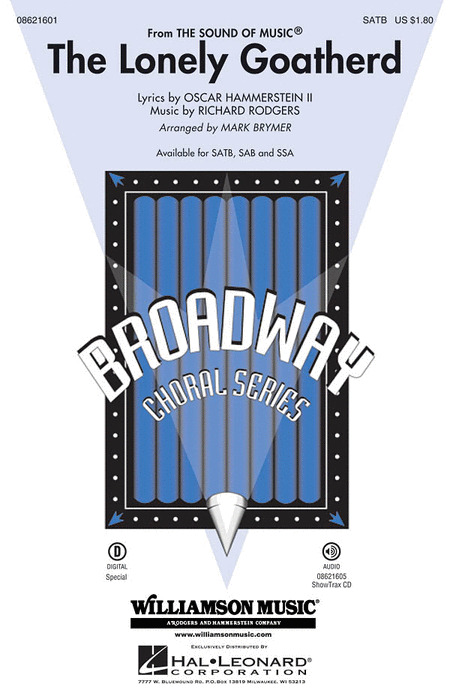 Available: SATB a cappella. Duration: ca. 2:13. In this, one of Schubert's first and most successful artsongs, Gretchen reflects on her sudden infatuation with Faust. The piano accompaniment, with its relentless sixteenth notes in the right hand, depicts both Gretchen's accumulating madness and the perpetual motion of the spinning wheel. With text by Shakespeare, and a piano accompaniment that is both understated and elegant, the arrangement of Schubert lieder is a wonderful way to develop and showcase exquisite choral blend. Text in German and English. Matthew Michaels : Ihr Musici, Frisch Auf! 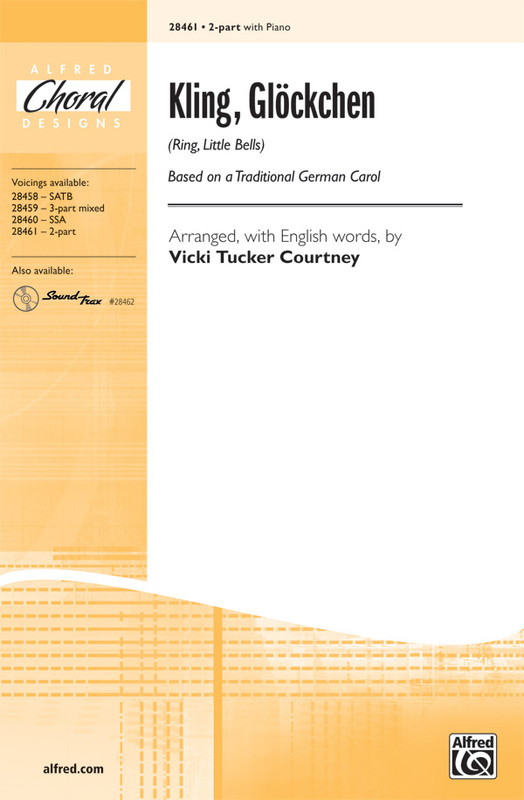 This new edition of the classic German madrigal is perfect for contest use.Available separately: SSATBB. Performance Time: Approx. 2:50. Henry Leck's edition of the Praetorius masterwork is transcribed from the original 1611 setting with a charming new accompaniment. Includes Latin, German and English text. Available: 2-Part. Performance Time: Approx. 1:25. This beloved 16th-century German partsong is offered with both the original German and a new English text. Available: SATB a cappella. Performance Time: Approx. 1:40. Tuneful and bright, this German carol arrangement is a joy for winter concerts. Sing lightly to achieve vocal flexibility and a consistent lilt. Each delightful bell-like phrase may be sung in English or German. Charming in all voicings. This Viennese polka describes the light-hearted gathering of a family as they enjoy fun cakes and coffee. Sung in English or German, this is a great opportunity to experience the magic of Johann Strauss. Available: SATB, SSA. Approx. Time: 2:15. 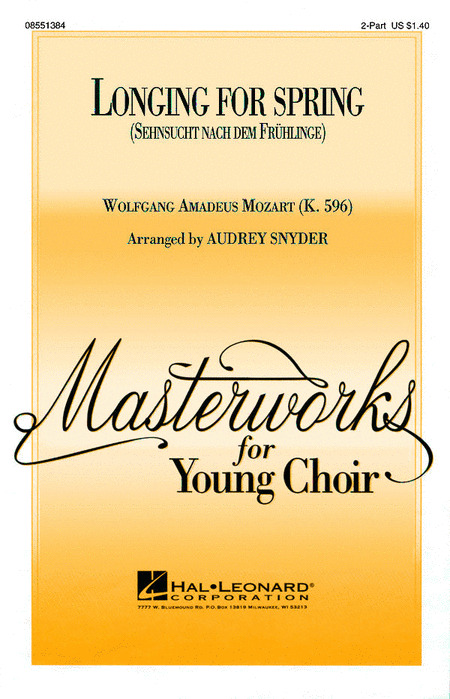 This delightful artsong, attributed to Mozart, has been arranged for two-part treble voices with the original German and an English text by Audrey Snyder. 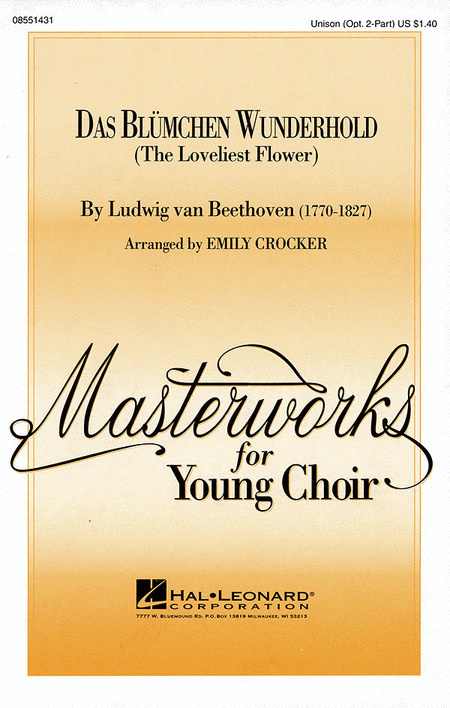 Long a favorite of young solo singers, now perform this work with your young choirs as well. Available: 2-Part. Performance Time: Approx. 2:40. This charming secular Renaissance lied for treble voices is an excellent introduction to imitative part-singing and will be a superb addition to concert and contest programs. German and English lyrics. Duration: ca. 1:30. Here are four selections from Brahms' impeccable Liebeslieder Walzer, rearranged for piano two-hands from the original four-hands accompaniment. With texts from poems reflecting on love, they form a fine set for choruses at the high school level and up. A fantastic introduction to music of the Romantic era! In German with English translation, selections include: Verzicht, O Herz, auf Rettung; Finstere Schatten der Nacht; Vom Gebirge Well' auf Well'; Weiche Graser im Revier. Total duration: ca. 5:15. This 14th-century German carol text sparkles in a joyful John Leavitt setting. Optional percussion and string bass. Available: SATB, SAB, SA/SSA, ShowTrax CD. Performance Time: Approx. 2:35. Brahms' radiant Lieder is crafted into this lovely SSA choral work. Unison singing establishes the melody then breaks off into three-part harmony. Individual part-singing in the second verse makes this small masterwork an excellent teaching piece as well as a performance gem. This lovely art song is expertly crafted for SSA voices. Available: SSA. Performance Time: Approx. 3:15. Here is a fresh treble arrangement of the all-time favorite Austrian carol. The flute offers a countermelody and the vocal arrangement invites singers to learn blending, vocal line and word stress. A great selection for the holiday repertoire of today's choirs. Duration: ca. 3:30. Performed by Le Petit Choeur-Lynn Gackle, conductor. Here is the treasured Austrian folk carol in a warm and lyrical setting for men's voices. Excellent for TTB ensembles from middle school and beyond. Performance Time: Approx. 3:10. 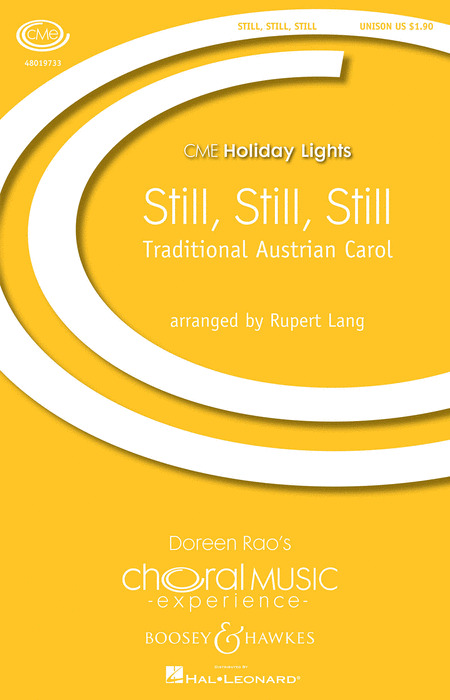 In a simple, beautiful new arrangement for unison choir, piano, and violin, Rupert Lang breathes new life into this traditional Austrian carol. Text in German and English. Duration: 2:55. 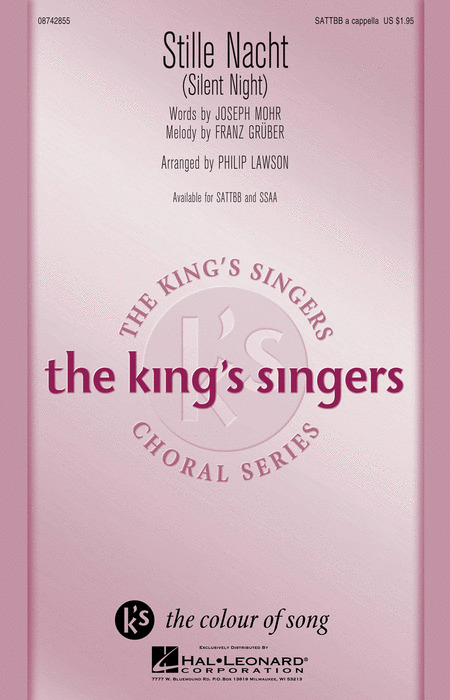 Here is the treasured Franz Gruber folk carol as arranged for the king'singers. Includes original German and optional English texts. From the traditional 3/4 meter to an interesting 5/8 meter, Earlene Rentz has taken this familiar Welsh carol and created a fresh new arrangement for SSA voices. 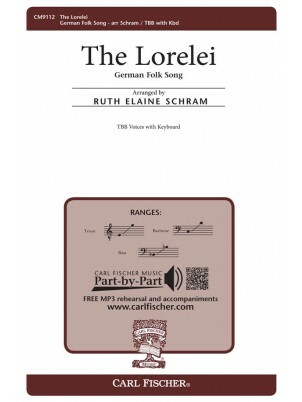 Countermelodies are used to enhance the melody and the text is a variety of English and German. Includes Solfege teaching tools. A fine selection for holiday concerts. This beloved German carol, partnered with a charming original countermelody, shimmers with the beautiful image of newly fallen snow. Easily adapted for treble or mixed groups, it includes both German and English lyrics and a vocal or instrumental obbligato. Available: 2-Part/3-Part. Performance Time: Approx. 3:30. Now available for mixed choirs in an SATB voicing, this beloved German carol, partnered with a charming original countermelody, shimmers with the beautiful image of newly fallen snow. It includes both German and English lyrics. Available separately: SATB, 2-Part/3-Part Any Combination. Duration: ca. 3:30. One of Robert Schumann's best-loved songs is available for your SSA voices. The beautiful text speaks of the many emotions true love encompasses while the key has been lowered to accommodate the added vocal harmonies. Lovely and appealing for women's voices. Available separately: SSA, PianoTrax CD (35027473). Duration: ca. 2:30.